This species is accepted, and its native range is SW. India (Kerala). Bhaskar, V. (2012). 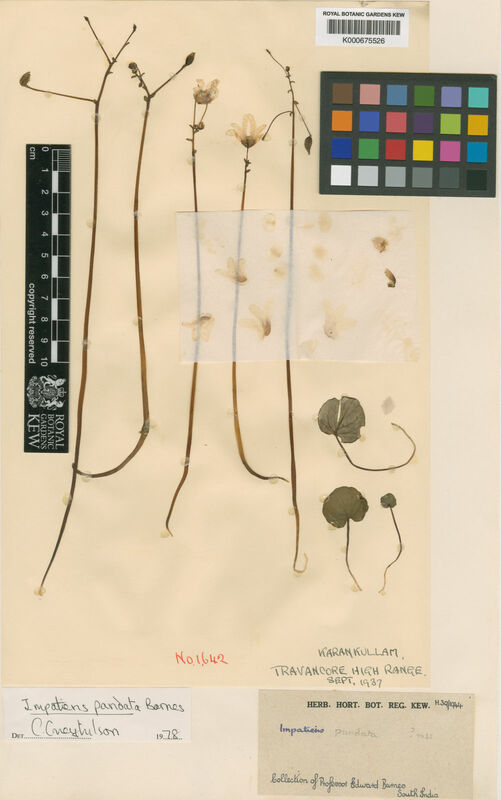 Taxonomic monograph on Impatiens L. (Balsaminaceae) of Western Ghats, South India. The key genus for endemism: 1-283. Centre for Plant Taxonomic Studies, Bangalore.